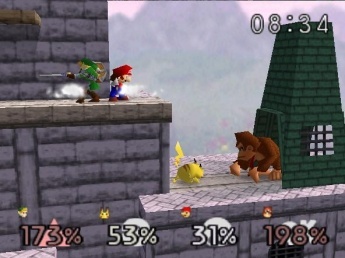 How well does the original Super Smash Bros. hold up? I only ever played this game alone on story mode with all the characters already unlocked (I borrowed it from a friend.) I had a hard time understanding how the damage percentages and everything actually worked because I didn’t have a manual! I wish I could’ve played this with others. I think I would’ve had a lot more fun! 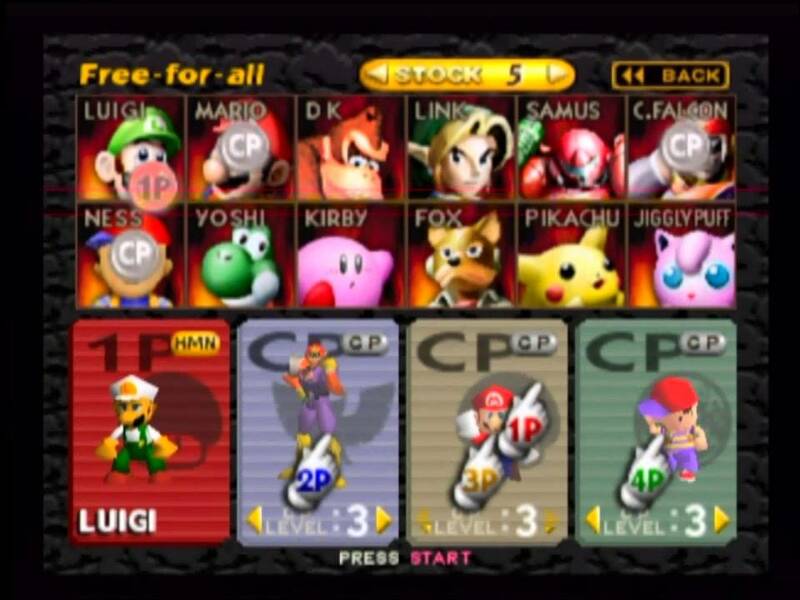 Given its simplicity, battles in the original Smash Bros tend to be more balanced and party-like when people with different levels of gaming “expertise” play it together, which is nice! But I agree that its sequels have rendered it somewhat obsolete. Great review! A part of me still prefers this over Melee, probably due to nostalgia and just having more memorable experiences with friends with it (I didn’t play Melee until after Brawl was out for a few months, and I never got around playing it with other people), but I also think it has vastly superior stages and music (Smash 64 has a phenomenal soundtrack). This is also probably the only game in the series where it’s hard to criticize roster selection much, I guess Jigglypuff is the oddball there, but Pokemon was at its peak back then and the thing was popular in the anime. No clones (I wouldn’t really count Luigi as one, and even if he were, he still stands out a lot more than the clones in Melee and Smash 4), no characters promoting upcoming games (freaking Roy and Corrin) or overly bizarre choices (which aren’t really bad but I could hardly consider exciting either). Excellent review! I loved the first Super Smash Bros. so much! It’s not as feature-filled as future installments, but it’s a classic original idea. But yea, it’s replaceable and has already been replaced 3 times. But the overall formula has remained the same, which says a lot about the original concept! Great review! I loved the first Super Smash Bros. a lot. It does have many flaws and is very simplistic compared to its sequels. The sequels have definitely improved upon the original especially in Brawl where there’s a campaign-esque mode. That being said, Smash Bros. is still a great game to play in short bursts with friends. Melee is basically better in every single way, but I still love this game just as much. The core mechanics were in place from the start in this series, and all you need to have a good time with the game is one or more friends to play with (it’s pretty dull in single player). I wouldn’t say that you can usually send characters off the stage at around 50% damage (in most cases, it requires about 100%), but throwing moves in this game are much more powerful than in any of the sequels, and some characters (Link, Samus) have terrible recovery moves. Still, I find the characters more balanced in this game than in any other Smash (except maybe the newest), and I prefer how the stages are fairly simple and allow for the fighting to take precedence over anything else. The lack of totally useless characters (ala Pichu) is nice. More than the gameplay, personally, I think that Melee (and the other sequels) most improves on the original in terms of music. I mean, the music in the first game is all right, but the sequels have incredible soundtracks.